Make sure you are using "Record from Microphone" and select Stereo Mix when you want to use that. Another great alternative is Voicemeeter, which is discussed in the sticky threads above. 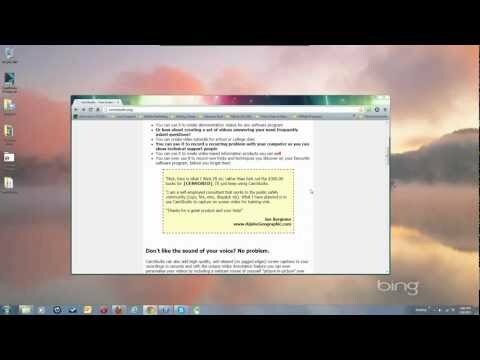 Also, see this video for many important bits about recording system audio. Made a mistake so to clarify I meant audio instead of Video in my last post where I said " "If I reversed It I got Video"
Stereo Mix and perhaps Skyrim have to have the default audio playback set to the analog speakers (not the headset, that won't work - not any USB device - it has to be the analog jacks on the back of the unit). There is an alternative to Stereo Mix called Voicemeeter that I recommend highly. It is much more flexible as to where the sound is set as defaults for playback, etc. See this for more information and download links. I have a few videos on using Voicemeeter on my YouTube channel as well. Set Voicemeeter as the default recording device in your system audio settings and you won't need to change CamStudio. 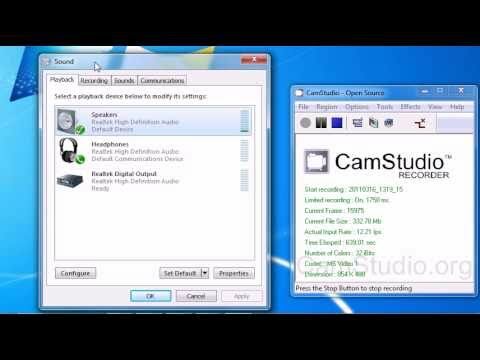 There is a bug that is keeping CamStudio from saving the selection in the audio settings, hopefully to be fixed very soon. Not sure. Going black is often from the media player - does using Windows Media Player or VLC work, showing even the black section? What dimensions are you using for the recording region? Nowadays, 1280x720 (720p) works on just about all machines. That may be considered an odd size by the player. Try doing a video at 1280x720 and see if it works ok.